The Kumon Of San Ramon center is located at 9260 Alcosta Blvd , Building B in, San Ramon. The center is open to students on Tuesdays, Wednesday, and Fridays 3:00 PM to 7:00 PM each week and Saturdays 10:00 AM to 1:00 PM. The Kumon Of San Ramon center is located at 9260 Alcosta Blvd in San Ramon. The most convenient approach is to take the Alcosta Blvd road east from highway 680. Continue past Village Pkwy. Turn right on Fircrest Lane. There is a Fire station on the corner of Alcosta Blvd and Fircrest on your right hand side. The entrance to the San Ramon Kumon center is immediately on your left hand side. The street number is #9260. The center is in building B of the Alcosta Professional Plaza office building complex. Click here for a 3D map. The center holds reading and math courses for students in pre-K to 12th grade. Feel free to visit us (on Tuesday, Wednesday, and Friday afternoons) between 3:00 PM to 7:00 PM and Saturdays 10AM to 1PM. Kumon Math is a comprehensive program that develops the necessary skills to help a child progress from counting to calculus. Often children have trouble simplifying fractional expressions in algebra because they have not mastered basic calculations. The Kumon Method develops proficiency at every level, so Kumon students build the solid foundation they need to advance more successfully and confidently through their school’s math curriculum. 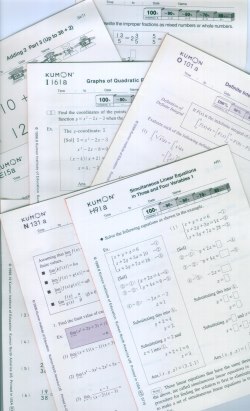 The ease with which Kumon students routinely learn to perform basic operations and solve problems is perhaps the most dramatic testament to the effectiveness of the Kumon Method. Click here for more detail information about our Math program. Good writing and speaking skills are fostered as a natural outgrowth of the Kumon Reading curriculum. Kumon students at every level read daily. That alone confers enormous benefits. Click here for more detail information about our Reading program. Who goes to Kumon Of San Ramon Reading? Kumon Of San Ramon Center Map. Click here for a 3D map. 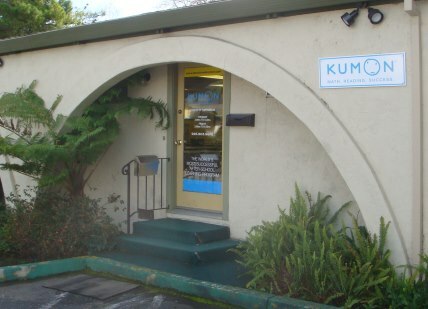 To see an internal view of our Kumon Of San Ramon Center click on the arrow within this window.